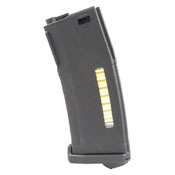 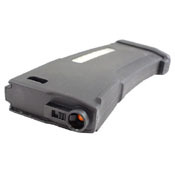 Load up on ammo easily with the PTS Enhanced Polymer AEG Magazine. 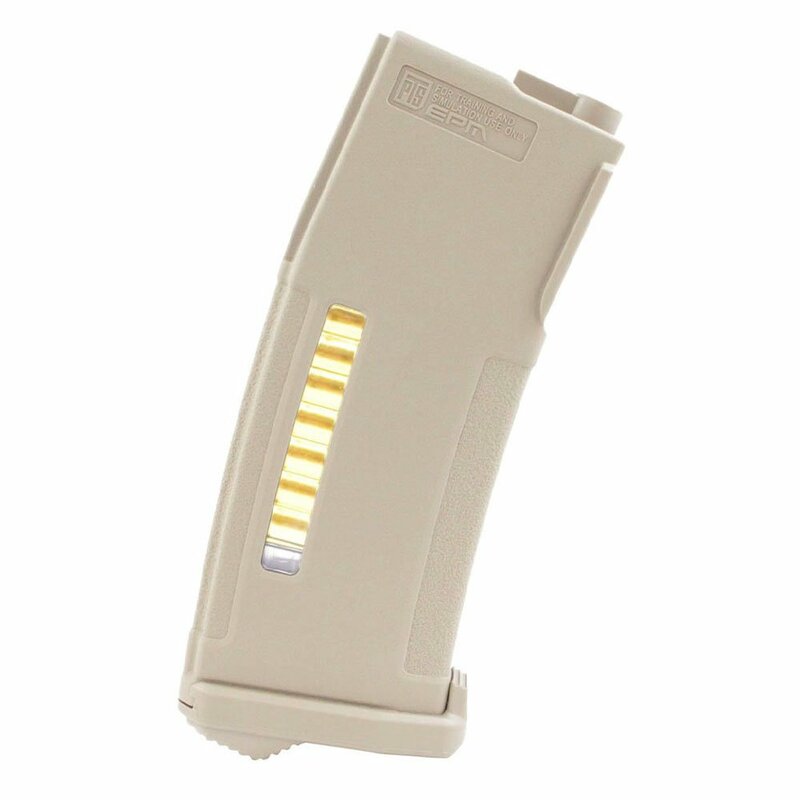 This 150 round magazine features snagless mag well guides, an easy-to-grip shell made from lightweight polymer, and a BB bullet full load indicator. 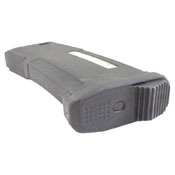 Its rubber base is designed so you can place it on flat surfaces for traction as a stable base for shooting. 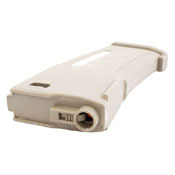 A mid-capacity magazine uses the same loading system as an actual firearm magazine. 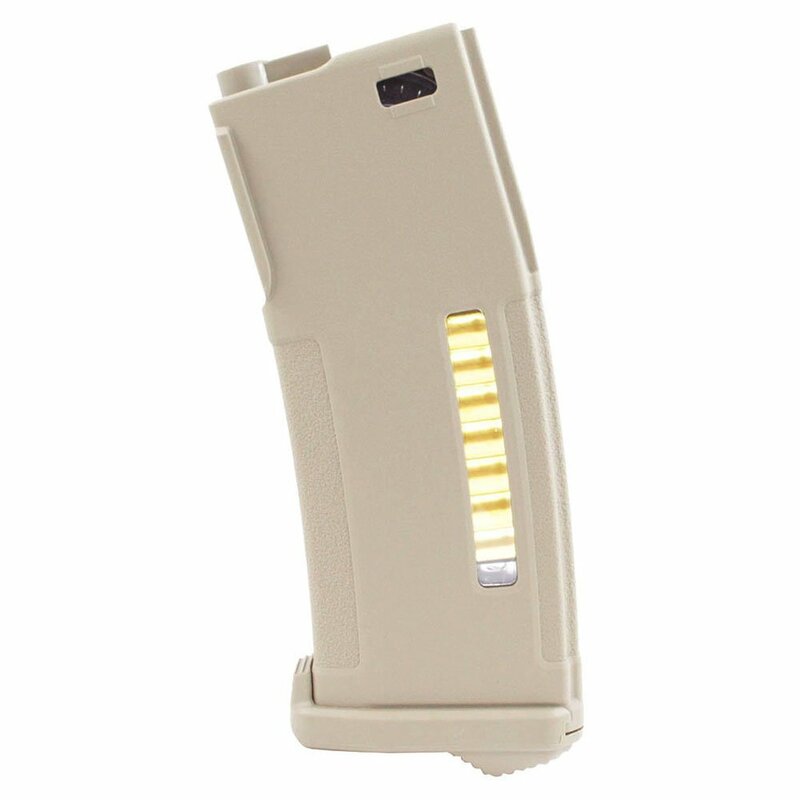 The BBs sit on a spring loaded track that feeds them into the gun one by one. They do not require winding and they don’t rattle like high capacity magazines, but they also don’t hold as many rounds.